Maxim Group raised its price target for Atossa Genetics (NASDAQ:ATOS) to $9 from $5 after the Institutional Review Board approved the use of oral endoxifen as a post-mastectomy treatment in pre-menopausal, estrogen-receptor positive breast cancer patients. The stock closed at $4.19 on March 25. 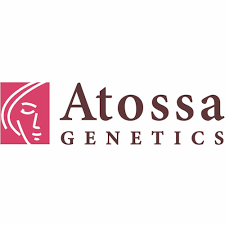 Analyst Jason McCarthy writes that Atossa’s valuation rose significantly after FDA clearance earlier this month, which subsequently resulted in Atossa receiving $10-million from the exercise of warrants. Mr. McCarthy said the key takeaway for Atossa is that management has executed on its strategy to initiate clinical programs around endoxifen and position the company to unlock value for investors in 2019 as data points are reached. “We should also see data from the topical study in breast density in women, data from the Phase 2s of oral endoxifen in breast cancer and initiation of a study of the topical in men with gynecomastia,” Mr. McCarthy said.